All of us, at one point in our lives, have travelled by coach. Whether it’s been on the way to a school trip, a holiday abroad, as a sports team going on tour, or even travelling from the end of the country to another for just £1. But what about if you want to train to be behind the wheel of one of these behemoths of the road? If you have some previous driving experience and enjoy working with people, then becoming a coach driver could be for you. So what training do you need in order to become a coach driver? How Can I Become A Coach Driver? A D4 is a medical form that helps to prove you are in good health – including your eyesight – and you must be shown to be in good health before you can begin training. Order your D2 and D4 forms here. SEE ALSO: How Can I Become A Taxi Driver? 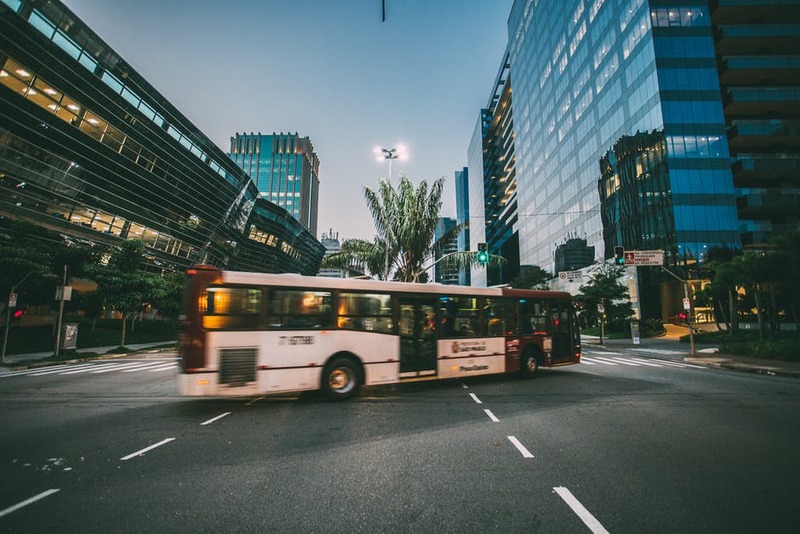 In order to qualify as a bus or coach driver, you need to complete training for both a Passenger Carrying Vehicle (PCV) licence and also a Driver Certificate of Professional Competence (CPC) certificate. A PCV licence takes around four to six weeks to complete and will involve both a theory and practical test, much like a driving test on a car. Much like you did when you passed your driving test for your car, this section is made up of both a theory test and a hazard perception test. The theory test is made up of 100 questions, while the hazard perception test has 19 videos you’ll have to watch. In both tests, the pass mark is quite high (85 out of 100 for theory and 67 out of 100 for hazard perception). Should you fail the test first time, you can book another test but you’ll have a three-day grace period first before you can sit the test again. Once you’ve passed this section, you can then move onto section two, which makes use of case studies to test you. This section tests your ability to react to certain situations and makes use of case studies in order to test you. There are 7 case studies in all, and all are based on situations that you’re likely to encounter in your work as a coach driver. All questions will have a multi-choice question at the end, and the pass rate is around 40 correct out of 50 questions. Upon passing the test, you’ll receive a pass letter which then gives you up to two years to take and pass Part 4 – you can’t apply for part 4 without this number so keep it safe. Part 3 is when you will actually start driving, and you’ll need to have passed Part 1 before even starting this section. In order to complete the test, you must ensure that you have access to a coach or lorry that meets the test standards. This can be provided by an employer or by yourself, in either case, you must ensure that the vehicle is covered by a coach insurance policy before you begin. You’ll be asked various questions about the vehicle and how to ensure you keep the vehicle and its passengers safe. Off-road exercises will include hitching a trailer, as well as performing a reversing manoeuvre into a bay. There will also be a ten-minute period of independent driving, where your examiner will remain silent and see how you react to situations on your own. This section is made up of four sections and will focus on vehicular safety, the correct procedure to load the vehicle, assessing situations during an emergency, as well as techniques to identify and stop human trafficking. After passing all four sections, you will then be sent your CPC card which you will need to produce in order to secure a job as a coach or bus driver. You may also need some additional training on traffic signs in Europe. If you work for a company which takes coaches abroad, your employer should provide this where needed. Also, in order to keep their skills fresh and to prove to the DVLA of their abilities, coach drivers must take a minimum of 35 hours of CPC training every five years, or renew their licence if they’re over 45.